As anticipated, investment sales dollar volume is up after a two-year decline. The Brooklyn market experienced increased activity last year. With $7.4B in total dollar volume, a 15% uptick from 2017, it represents the end of a two-year dollar volume decline and remains consistent with the volume two years ago in 2016. On a five-year basis, the Brooklyn market is showing signs of maturity and stability. The average annual dollar volume over the last five years was $7.6B. 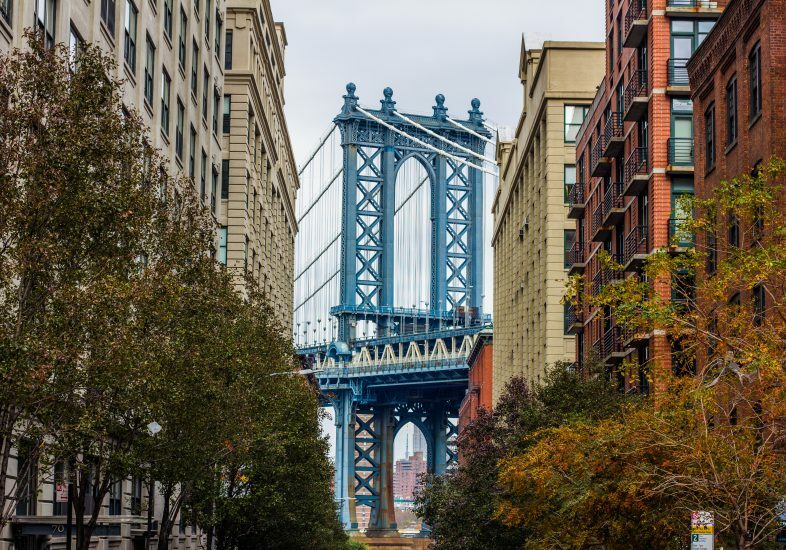 While the market peaked in 2015 with $9.5B in overall dollar volume, the volume over the last five years is showing a Brooklyn that is behaving much more like Manhattan. 30% of the investment sales volume ($2.2B) last year stemmed from the top 10 largest transactions alone, some of which included newsworthy trades like the Red Hook portfolio purchase by UPS at 100 Ferris Street and Forest City’s 461 Dean Street. The number of transactions annually continues to wane as less inventory is available on the market. Although the total dollar volume in 2018 remained strong, the transactional volume continued to decline with 1,197 commercial transactions – down 12% from 2017, and 37% since the peak of the market in 2015. The Greater Downtown Brooklyn region continues its streak with the highest amount of investment across the borough year-after-year. The Greater Downtown Brooklyn region saw the highest total dollar volume with $2.2B from 162 transactions, of which 51 transactions were multifamily, the highest traded asset class in the region. Although dollar volume was down 15% from 2017, the number of transactions is up almost 10%. Most notably, the two highest priced transactions included 542-550 Atlantic Ave., a 14,000 BSF development site that traded for $27,500,000, and 103-111 Smith St., a 19,200 SF mixed-use portfolio that sold for $15,000,000, in which TerraCRG represented both buyer and seller. The multifamily market saw the highest increase in dollar volume in 2018 but faces some headwinds in 2019. The multifamily market saw a 58% increase in dollar volume due to the $870M transaction at 1155 Pennsylvania Avenue, also known as Starrett City, in East New York. This single transaction represented almost 24% of multifamily dollar volume, and 12% of the total dollar volume in Brooklyn in 2018. That being said, the Brooklyn multifamily market will experience an identity crisis in 2019. With an increased rent regulatory environment and higher interest rates, it will become more difficult for investors to underwrite the same level of “value-add” they have been used to. The volume of transactions in Brooklyn will remain steady in 2019 as sellers are coming to the market to take advantage of several positive local trends, with an eye towards an end of a cycle. The recent announcement revoking the shutdown of the L-train between Brooklyn and Manhattan is easing investors’ concerns as residents and businesses are re-committing to North Brooklyn. Several area-wide rezoning projects will spur amplified activity in several neighborhoods. The Department of City Planning has announced the framework of three monumental area-wide rezoning projects within Gowanus, North Brooklyn, and Bushwick. The Gowanus rezoning has been anticipated for several years and is poised to transform the area between Park Slope and Carroll Gardens into a true mixed-use community. New-construction office and multifamily buildings will continue to take center-stage. Last year, some of the largest trades included buildings such as 461 Dean, the prefab tower developed by Forest City Ratner, and 95 Evergreen, an industrial-to-office conversion in Bushwick. This trend is expected to intensify in 2019 because many newly developed projects are finally coming to fruition and will be completed and/or leased. The Brooklyn residential rental market will continue to persevere. Despite the thousands of new rental units being delivered in neighborhoods such as Downtown Brooklyn, lease-up periods are short, and the absorption rate is strong; the newly announced continuation of L-train service between Brooklyn and Manhattan is already generating new activity in Williamsburg where landlords are quickly adjusting with fewer concessions and higher rents. To view the full 2018 Brooklyn Market Report, click here: https://www.terracrg.com/brooklyn-market-reports | Download PDF here. To learn more about the state of the Brooklyn commercial real estate market, please feel free to reach out to the TerraCRG investment sales team.